Free casino bonuses have become an essential marketing tool for online casinos, crucial in attracting new customers and for the retention of the existing ones. In the past, there used to be many bonuses with tricky conditions that made it impossible for players to withdraw any winnings. However, with an increased competition and the pressure from licensing authorities, the situation has dramatically improved, and it is now possible to find a good number of attractive bonuses with fair conditions and wagering requirements. Such bonuses really do work in favor of the player. Read our bonus guide and we’ll show you how to make it in the world of bonuses. If you are already familiar with the bells and whistles of casino bonuses, make sure to check out our list of the best casino bonuses, which includes a powerful filter. You can list just one type of bonuses, or bonuses based on their wagering requirement, maximum cashout, accepted countries etc. A bonus represents a form of a reward you get for opening an account in a casino, deposting money or real money betting. The most common form of a bonus is a credit which you can play with and which, after fulfilling certain conditions, will be credited to your account. Other common forms of bonuses are the so-called free spins, or a return of portions of the money lost (cashback). Bonuses prolong your game and give you a second chance if you lose. You play further, even though you have already lost your original deposit, and although bonus requirements are often quite restrictive, you still have a chance to turn your bonus into withdrawable winnings. Deposit bonus - You get a bonus credit according to the amount you have deposited. Most commonly you get 50%, or 100% of your deposit, and sometimes even 200% or 300% or more. The maximum bonus amount is usually limited. Deposit bonuses are promoted by offering deals like "150% bonus up to €150". However, watch out for other bonus conditions, especially wagering requirements and maximum withdrawal limits, which are both very important. No deposit bonus - It is popular especially among so called freebies, players who want to win money without taking any risk. It is most often given for registration, with no need to deposit any money. Usually, it amounts to around 5€ to 20€, and meeting the conditions of this type of bonus is usually quite difficult. Free spins - You don’t get free money, but you get free spins on selected popular slots with prepaid credit. Any winnings aren’t immediately credited to your account. They form a bonus credit, which requires you to meet the additional conditions (like with no deposit bonuses). Only after fulfilling these conditions will the casino credit your account with real money, which you can then withdraw. Cashback - The casino returns a portion of the money you have lost. Loyalty program - Every casino tries to keep the top players, and softens them up with something special. Benefits offered in loyalty programs are hard to pigeonhole. Most often they include e-shops with promotional items that can be bought with loyalty points, exclusive games, or competitions between players for jackpots or holidays abroad. Further popular benefits include lower wagering conditions for bonuses, higher game limits and even higher withdrawal limits. Casino bonus allocation and withdrawal is only available after meeting certain conditions. Be sure to carefully read the detailed version of the conditions on the casino’s website. If you don’t understand anything, do not hesitate to contact the casino customer support. For each of the casinos and bonuses CasinoGuru reviewed, we’ve listed the most important bonus conditions, including wagering requirements, maximum withdrawal limits and allowed games. Only one account opened and only one bonus per person, household, IP address, email address, credit card or bank account. If it is being really strict, don’t even try to open multiple accounts. They will not only take your bonus, but might also void your fair winnings from normal deposits. Some casinos (especially rogue casinos) may even suspend your casino account and keep the deposit if you’re in breach of these rules. Upon registration always use your real personal information, or you will not receive your winnings. The casino will verify your identity before any withdrawal takes place, and you will often have to send scans of two personal documents (ID card, driving licence and/or passport). You can’t withdraw bonuses immediately. You always need to rollover bonus amounts multiple times in the casino (known as wagering requirements). Bonus rollovers mean that the sum of your bets in any game must exceed a certain multiple of its original value. With a bonus of 100€ and wagering requirements of 30, you need to bet 3000€ in total. If you play slots and you spin for 10€, you have to spin 300-times (regardless of wins and losses). Players lose most bonuses before fulfilling their wagering requirements. There are usually some casino games restricted when playing with a bonus. Especially in the case of games with higher payouts, like most table games, you’ll find restrictions or higher wagering requirements (sometimes 10x or 20x higher than the primary wagering conditions). Casinos often restrict bonuses to certain countries only. 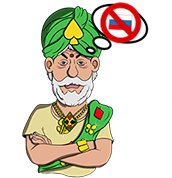 CasinoGuru reviews include information about country restrictions. You can also find this information in the bonus conditions. Some bonuses, especially no deposit bonuses, but sometimes also deposit bonuses, feature maximum withdrawal limits. If, for example, a no deposit bonus comes with a 100€ maximum withdrawal limit and a player wins 300€, he can only withdraw 100€ and the remaining amount will be voided. To acquire some bonuses, you have to fill in a promotion code while depositing, or while registering a new account (in the case of no deposit bonuses and free spins). At some online casinos, you have to contact their support with the bonus code in order to claim the bonus. You should only play in casinos with a good reputation. You can try to find the information about the reputation of a casino by searching for "name of casino complaints" using a search engine, or looking up the casino on the industry website askgamblers.com. If you find multiple justified complaints, do not open an account with this casino, no matter how attractive the bonuses are that it offers. CasinoGuru has already conducted this research for you, so the fastest way to uncover the reputation of a casino based on publically available player complaints is to check our online casino reviews. The majority of casinos put these types of formulations into their terms and conditions: "The casino reserves the right to change, cancel, remove or refuse any bonus in accordance with its own decision." For regulatory licensing, casino bonuses are only given as a gesture of goodwill by the casino. That is why these terms and conditions are permitted. Especially after winning a larger amount, casinos can try to accuse you of bonus abuse and void your winnings. If a casino willfully decides not to pay out your winnings from bonuses, you remain virtually powerless. You can only try go public with it, and hope the casino changes its mind to protect its reputation. Make sure you read our casino reviews carefully in order to avoid casinos which often use these terms against their players. At CasinoGuru, we appreciate casinos which don’t have these types of clauses in their conditions, and are always prepared to play by clear rules. Check out our casino reviews. If we find a casino uses strict bonus terms against their players, you will find these complaints in our review. Bonus hunting is the intentional abuse of bonuses, in order to make a long term profit. The golden era of bonus hunting was 10 years ago, when it was enough to know how to play Blackjack, and players could get to a decent amount of winnings from bonuses alone. Naturally, casinos try to prevent such abuse, and so today, bonus hunting is harder and more risky than before. Contemporary bonus hunting is mainly about the high variance of game strategy. In other words, it could lead you to either lose everything, or win at least 20-times the bonus amount. It requires a good starting capital, a clever choice of games and game strategy, as well as a thorough knowledge of the terms and conditions. The main risk is that on average, you only convert 1 bonus out of 25, and then if casino refuses to payout that bonus, you don't win anything. Some other casinos wouldn’t even give you back your deposit. If you are interested, check out our dedicated article about bonus hunting.